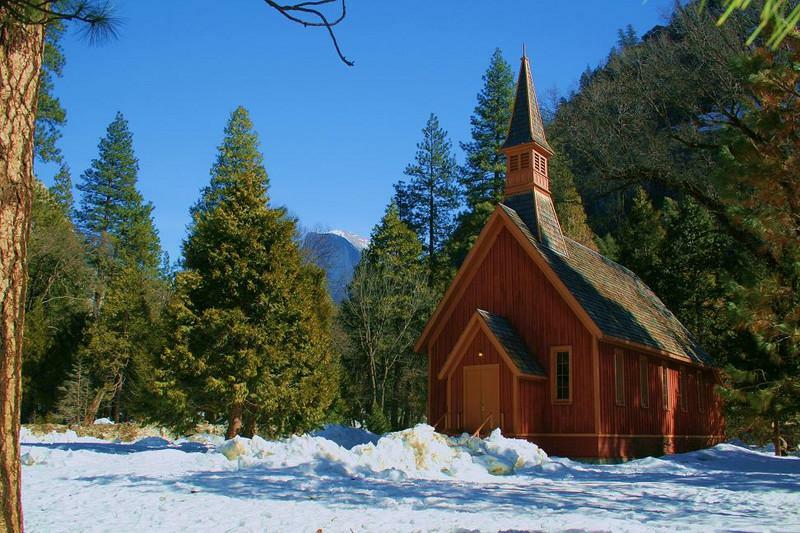 Half Dome seems insignificant in a wide angle photo of the Chapel. February 2008. Snow was about 2 feet deep in most places on the Valley floor, even in wide open spaces. Every now and then my wife sees a good composition that I walked right past. This is one of those, and she gets all the credit for this one.